Gassan Diamonds was founded in 1945 by Samuel Gassan and turned into the most important watch and diamond dealer of The Netherlands. 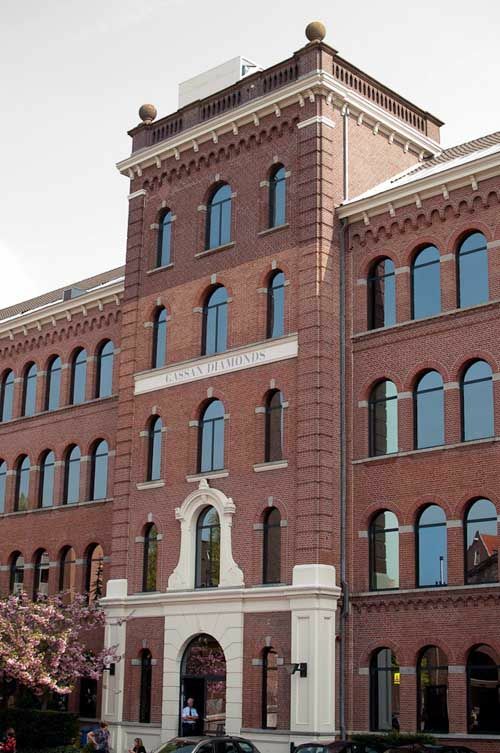 With approximately 450 employees, Gassan Diamonds is able to process the 300.000 – 350.000 visitors each year to their head quarters in The Netherlands, housed in a former steam-driven diamond factory in the center of Amsterdam. With shops through-out Amsterdam, Schiphol Airport, London City Airport, Singapore’s Changi Airport and offices in Amsterdam, New York, Beijing, Jakarta and Bangkok, Gassan Diamonds is a global player in diamonds and watches. On the 22nd of April, we (Robert-Jan and Ger) interviewed Benno Leeser (CEO Gassan Diamonds) in his office in Amsterdam. 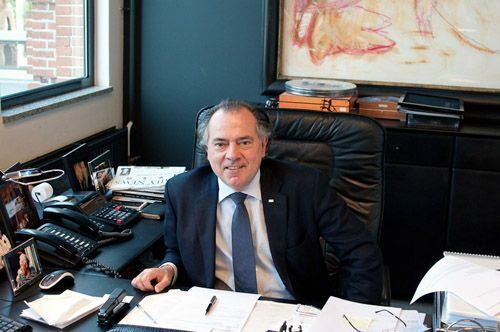 Benno Leeser started working for his grandfather Samuel Gassan in 1973 and fulfilled several roles within the company till 1983, when Benno Leeser was promoted to CEO of Gassan Diamonds when his grandfather passed away. With a sharp focus on procurement and retail business, Benno Leeser continued the growth of Gassan Diamonds with success and in 1990, Gassan Diamonds moved into the former steam-driven diamond factory where they are still located. This is the location where his grandfather Samuel Gassan started working before World War II started. 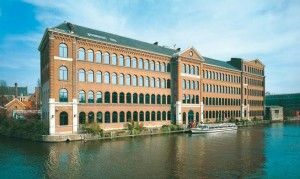 Fratellowatches (FW): How did you feel when in 1990 Gassan Diamonds moved into the building where it all started for your grandfather? Benno Leeser (BL): Of course, this was a special moment in my life but also a necessity as we are receiving so many visitors (350.000 last year) every year for our guided tours in the diamond factory and museum. We need a lot of space, also outside the building, to have enough parking space for the tour busses and visitors that come by car. Accessibility is essential to us. FW: In 2001, an employee stole diamonds that represented millions of dollars in value. Luckily, 85% of it has been returned to Gassan. What did this do with you as a manager and as a person? BL: You have to be strong and can’t go sit in a corner and cry. You have to go on with the daily business. Perhaps less known, but the SARS epidemic in 2003 was scarier for us. FW: Because of the uncertainty of your position? BL: Yes, with the theft of the diamonds in 2001, we at least knew what our financial position was and how to recover. The SARS epidemic had more impact, as a lot of our visitors are from Asia and we did not know when and where the epidemic would end. FW: Next, in 2008 starts the financial crisis. You once said in an interview during that time, that you rather sell 10 products of 1000 euro than 1 product of 10.000 euro. BL: Correct, the financial crisis wasn’t easy but we survived well. Luckily, the Asian market was still strong and we have a lot of customers from Asia. The example I have on rather selling 10 products of 1000 euro than 1 product of 10.000 euro has everything to do with targeting more customers than only 1 high-end customer. All customers are important to us of course, regardless of the amount of money they spend; more important to us is that they return to us in the future as well. FW: Looking at today, what’s happening? BL: Well, the market is growing again and especially the Asian market is. Currently, 50% of our customers here at our head quarters in Amsterdam are from Asia and 15% of our customers at Schiphol Airport are as well. We also are finishing up the re-design of our Gassan Dam Square boutique at the Dam in Amsterdam City (formerly known as Amsterdam Diamond Center). BL: I don’t know if it matters much what I personally think or favor, as all these brands create beautiful timepieces, but I find myself wearing Rolex most of the time. For instance, my favorite holiday watch is a Daytona. FW: Do you have and/or keep personal contact with these brands? BL: We have great contact with all the brands we represent in our shops, but yes, the contact with brands like Rolex is great and with some of them personal as well. Our formal contacts are approximately four times a year; to discuss novelties, evaluate sales figures and certain watch models. We also visit BaselWorld in Basel and SIHH in Geneva of course, to discuss and evaluate novelties with our brands. The same goes for brands from the Swatch Group for example. FW: …and specifically Rolex? As they seem to be the Fort Knox of the watchmaking industry. BL: For customers they probably are, but we – and I personally do as well – have a good relationship with them since our dealership started in 1986. White gold Daytona that Gassan Diamonds asked Rolex to create for the national Dutch soccer team. FW: As you know, vintage Rolex watches are very popular these days. Your Gassan Square boutique is highly recommended by some of the vintage collectors for service and small repairs as you seem to have some vintage Rolex specialists working there. BL: Yes, I know. My son-in-law loves vintage Rolex as well. FW: Are there any plans to step forward as a specialist in vintage Rolex and making it officially part of your business? BL: No, as I feel that this requires a tremendous amount of attention from our specialists. Vintage Rolex collectors are very keen on details and this requires a lot of time from our specialists and logistics. We want to deliver the highest form of service there is, and it simply would cost us too much resources if we would also focus on vintage Rolex. FW: Being an official dealer of Atelier de Monaco, how do you feel about the upcoming interest in independent watchmaking? Is there room for more independent watchmakers? BL: Just like Atelier de Monaco, the independent watchmakers create great timepieces and we want to applaud them for their entrepreneurship. However, I don’t see more independent watchmakers entering the Gassan Diamonds shops any time soon. It is a niche and we already have a few niche products. FW: What is your take on social media like Twitter, Facebook and other communities like forums? BL: I don’t even use a Blackberry. I have a simple cell phone to be able to make calls. However, since I do understand the necessity for on-line presence on the channels you mentioned, we have a group of people looking into that. FW: What are your expectations of social media based on the input they gave you? BL: I clearly see it as a channel to create awareness about Gassan Diamonds, not as a direct sales channel (yet). I am convinced that in the end, you want to buy that watch in a boutique where you get personal attention and where you can hold the watch in your hands to feel and try it. FW: Continuing about the internet, this also brought a lot of transparency in the market and a lot of grey market dealers. How do you feel about that? Do they affect your sales numbers? BL: Again, I believe in our own boutiques for the reasons I mentioned earlier. We are not afraid for a loss of revenue due to the grey market as most people still want to avoid any risks and buy a watch at an authorized dealer like Gassan Diamonds. FW: Thank you for your time!